We know it’s hard to stay on top of the ever-changing list of food trends. Since we believe it’s vitally important to your health that you know everything that’s #trending in the world of food in 2017, we’ve put them all into one place. 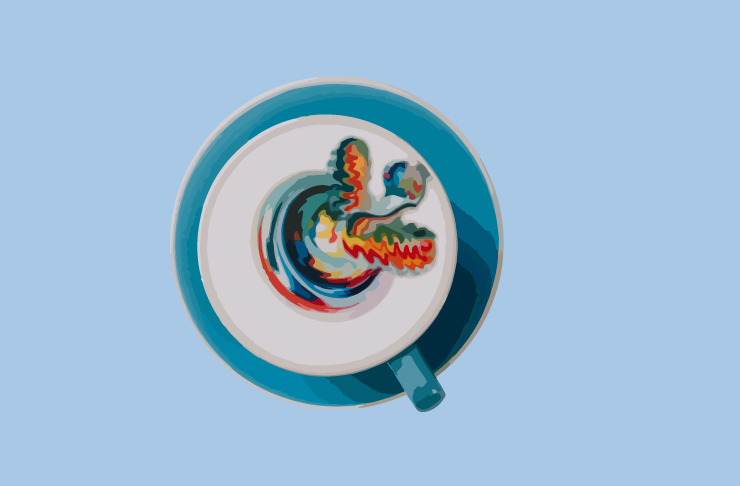 Our faves are the rainbow lattes and fermented everything, but who are we to judge? This one has been bouncing around for years and we’ll agree that logic should tell us that we’re probably throwing out way too much food (1/3 of the world’s food, if we’re being specific about it). We won’t judge you for chucking your mother-in-law’s mango chicken out on a Wednesday night—we’ve all been there. But this year it’s all about minimising your waste because every little bit counts and remember, what’s trash to you, might be treasure to your puppy. By now, we’re all familiar with old mate matcha latte, but this year there’ll be a whole rainbow of plant-based lattes hitting your local coffee shop. Notable mentions are the blue majik—yes, that’s a type of algae—and red velvet, which we’re just going to pretend is good for us and call it a day. Hey, even if it tastes foul, it’ll look so damn pretty on your Instafeed and we know that’s really what life’s all about, right? Wood-fired or chargrilled food is a trend that just won’t quit, which we’re pretty happy about, since it makes literally everything it touches taste roughly 14 times better. Wood-fired pizza? Better than any other pizza. Wood-fired, chargrilled vegetables of any kind? Better than their non-fired counterpart. Wood-fired roast chicken—you guessed it—tastes better when made in a wood-fired oven. Vegos, this just may be your year. Vegetables are no longer the awkward third wheel to your slow cooked lamb and crispy duck fat potatoes, because this year, they’re the main event. 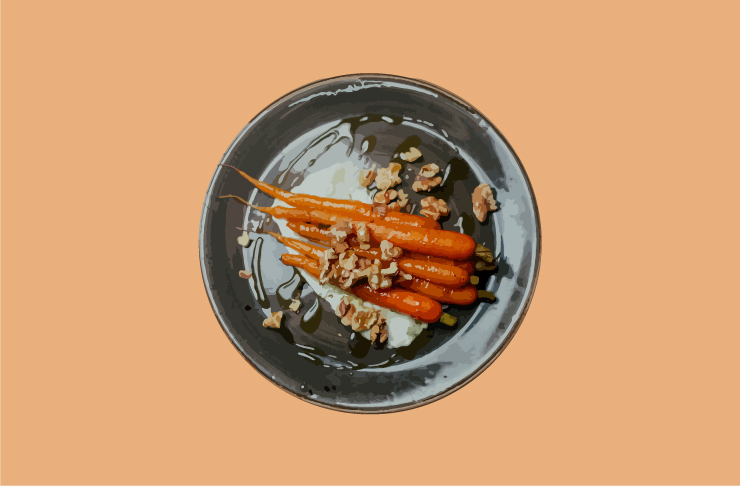 You’ll now find entire vegetable sections on many menus around the city and if you ask really nicely, they may even have a vegetarian menu hiding out back. In 2017 no-one puts veggies in the corner. We don’t fully understand this one, but trust us when we tell you that charcoal is popping up in more than a few restaurants and juice bars at the mo’. Once it was squid ink that was making a cameo in your bowl of pasta, but now charcoal is in town and ready to make your food black—in a cute way, we think—and your juice extra, super duper healthy. Apparently it draws out your body’s excess toxins, or so they tell us. Bonus points if your juice has cayenne pepper and alkaline water in there too. Treat this as your friendly PSA that packing healthy snacks is now cool, because in 2017, it’s all about staying on that New Year’s induced bandwagon (apparently). So load up, because you can also consider this permission to buy up big in the ~healthy~ snack aisle at the supermarket. First it was burgers, then tacos, then burgers again and while we’re partial to the trifecta in street food, 2017 will see the pimped up hot dog reach its peak #foodporn status. If you’re wondering what a pimped hot dog looks like, it involves things like truffle mayonnaise, braised onions, Sriracha, bacon and even confit garlic aioli. We know. Go find one ASAP. 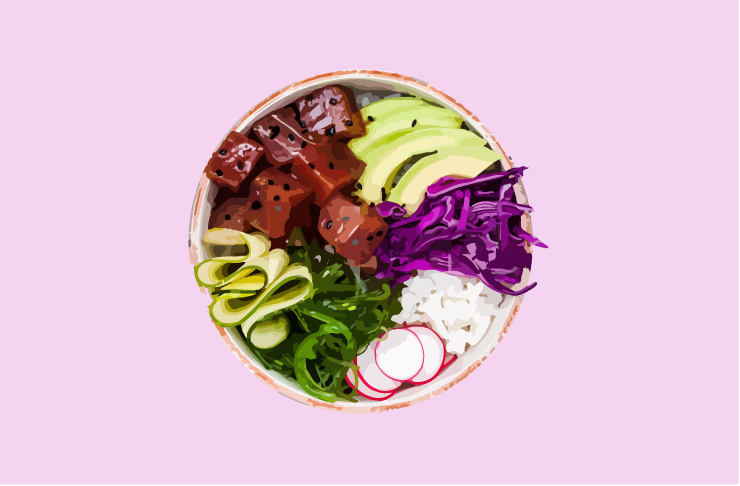 Poké and Buddha bowls have been blowing up our newsfeed lately, which can only mean one thing—they’re one to watch in 2017. We put this down to a few reasons; 1. They’re really delicious, 2. They’re really good for you, and 3. They also look really damn pretty, which is helpful when you head to Insta to shamelessly brag about your great life choices. Basically, they have all of the healthy food things in one big bowl, like sashimi, brown rice and mountains of vegetables. For those times when all you really want is an iced latte, but can’t deal with the milk that comes with it, we give you cold brew. Every good café has its own special cold brew specialty—single origin, strong, fruity, spicy—but we’re more interested in the coco-brew, which is literally a coconut cold brew. When done right, it’s epic, so keep your eyes peeled for it. Thanks to your local hipster café and every single Bondi-native, fermented everything is really having its moment this year. We’re not just talking about sauerkraut and kimchi anymore—oh no no—but now fermented mango, cubed chive kimchi and magical preserved angel’s breath is happening. Or close enough, if the list of health benefits is anything to go by. If you want to know even more food trends, check this out.